I can't believe Memorial Day is coming up this weekend. I feel like this marks the beginning of summer. The kids are out of school, people are leaving for vacation, and you see RVs everywhere. Sometimes I think there are more RVs than people in the state of Alaska. Seriously, you should see the Seward Hwy in summer. It's a parking lot of RVs. All you need is peanut butter, half-and-half, sugar, and peanut butter cups (of course!). Throw everything into a blender to mix and then freeze in an ice cream maker. SO easy! And you don't have to worry about making a custard. Does anyone else hate making ice cream that requires cooking eggs? Just make sure to plan ahead because you need to freeze the bowl of the ice cream maker at least 24 hours before using. Not that I forgot to do this...ahem. 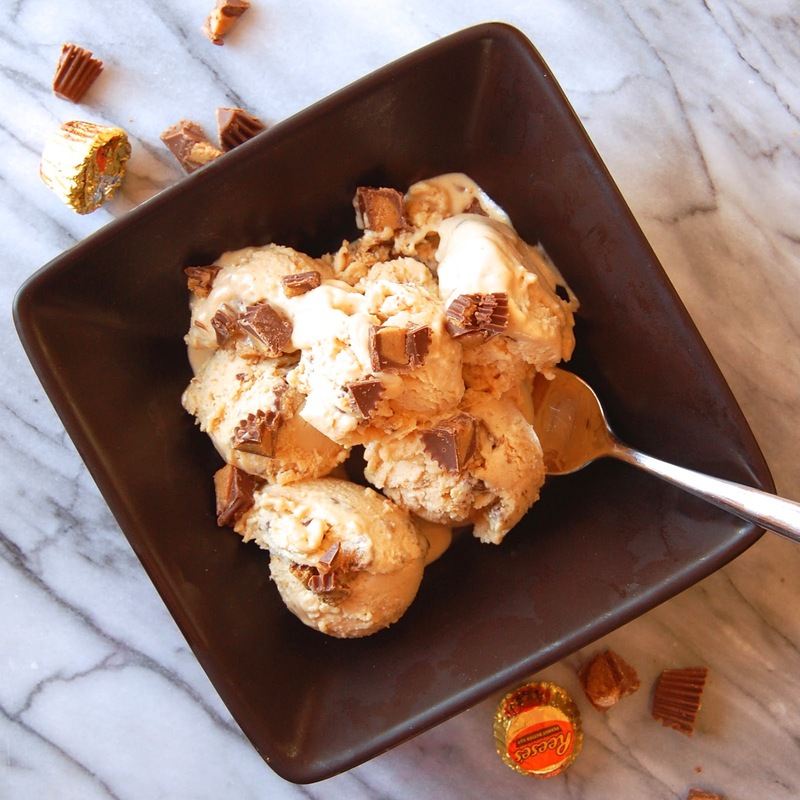 Slightly salty, slightly sweet, and oh so peanut buttery...bet you can't eat just one scoop! Place the peanut butter, sugar, half-and-half, salt, and vanilla in a blender. Mix until well combined. Transfer to a freezer-safe storage container. Place in the freezer for a couple of hours to harden before serving.